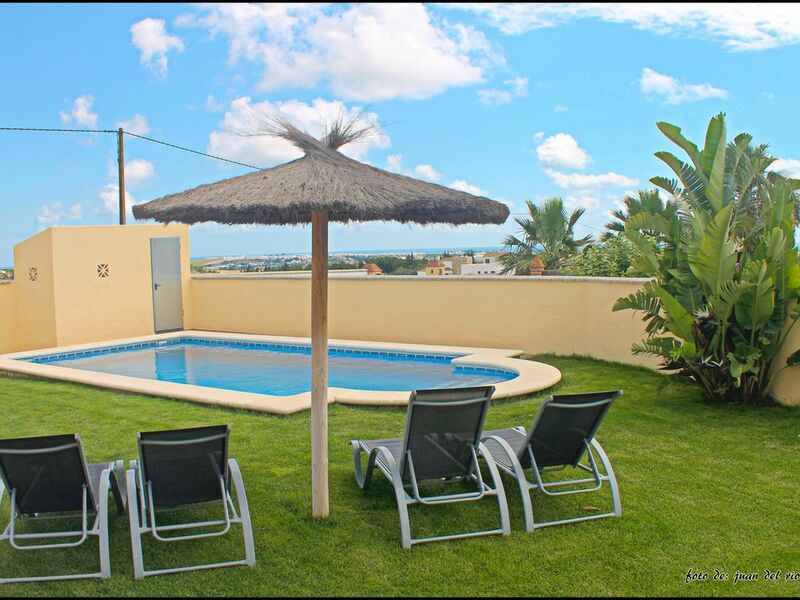 Villa with capacity for four people in Conil de la Frontera, located in a quiet area, which is about 8-10 minutes drive from the town of Conil. This property is located in a rural area, away from noise and perfect to enjoy the tranquility and silence. It is distributed in two bedrooms: one with a double bed and the other with two single beds, a bathroom with shower, living room with flat screen TV and fireplace, and a well equipped kitchen with butane gas cooker. Outside there is a barbecue area, table and stone benches, garden area and private pool with sun loungers. In addition, you do not have to worry about parking, as there is private parking for two cars. Most of the beaches are between 10 to 20 minutes drive away, for example the beaches and coves of Roche and El Palmar beach. Free Wi-Fi is included in this property. IMPORTANT: The swimming pool is only open during the summer.